Five years after the first Nobu Hotel opened in Las Vegas, Chef Nobu Matsuhisa and co-owner Robert De Niro just opened their third property in Europe. 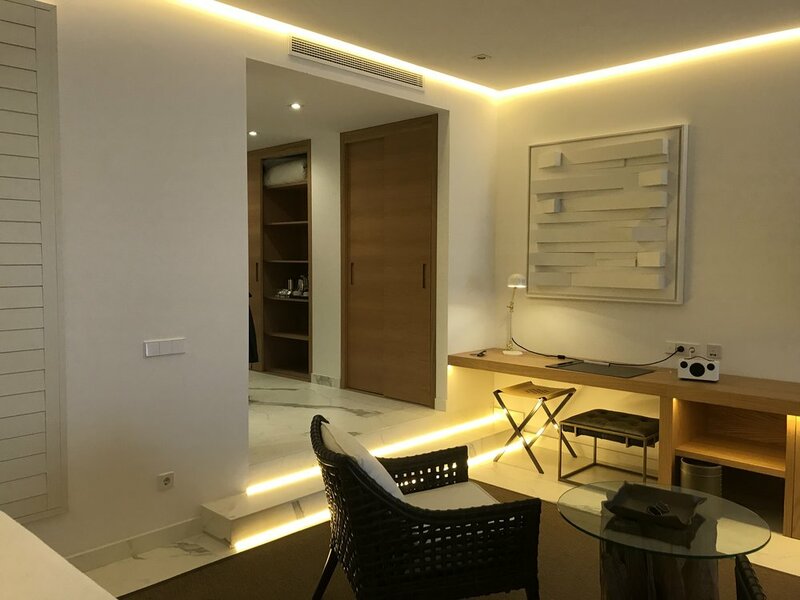 Built inside the well-known Hotel Puerto Romano, Nobu Marbella currently offers only 49 guest rooms and suites, although a total of 81 rooms are planned to be under operation by the end of the year. The hotel winds around ‘La Plaza’ which is often referred as the ‘heart and soul’ of the hotel. 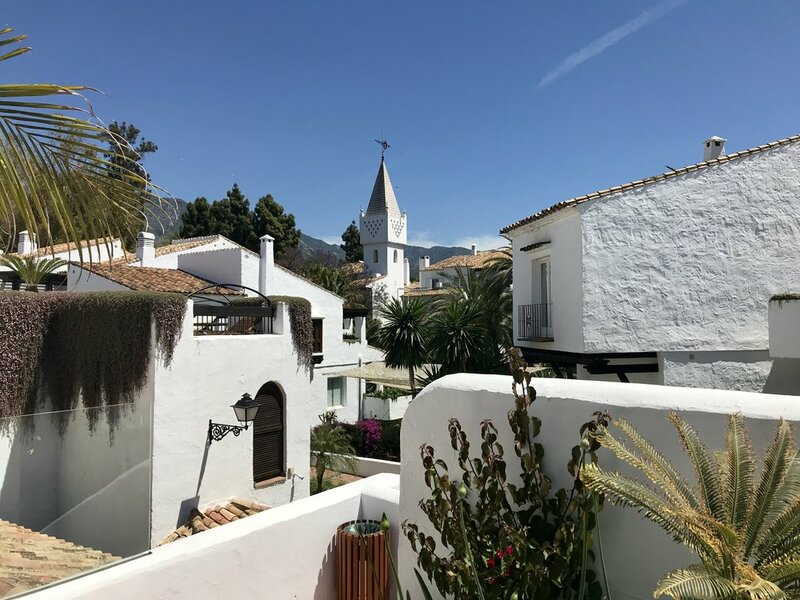 Surrounded by several restaurants and bars, it is the place to be in Marbella when the sun sets, and a picture-perfect Andalusian styled square the next morning. 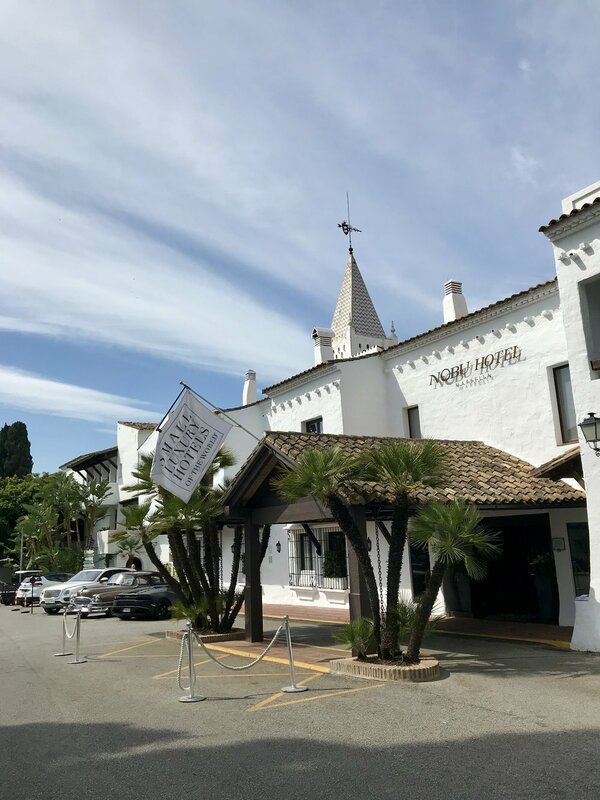 After a quick, 35 minutes’ drive from Málaga Airport we arrived during a sunny morning at the small entrance, just right off Marbella’s main road where our car and luggage were quickly taken care of. The lobby itself consists only of two check-in desks though the living room called “Nobu Lounge” is right next to it, featuring several couches, a coffee machine and a small bathroom. 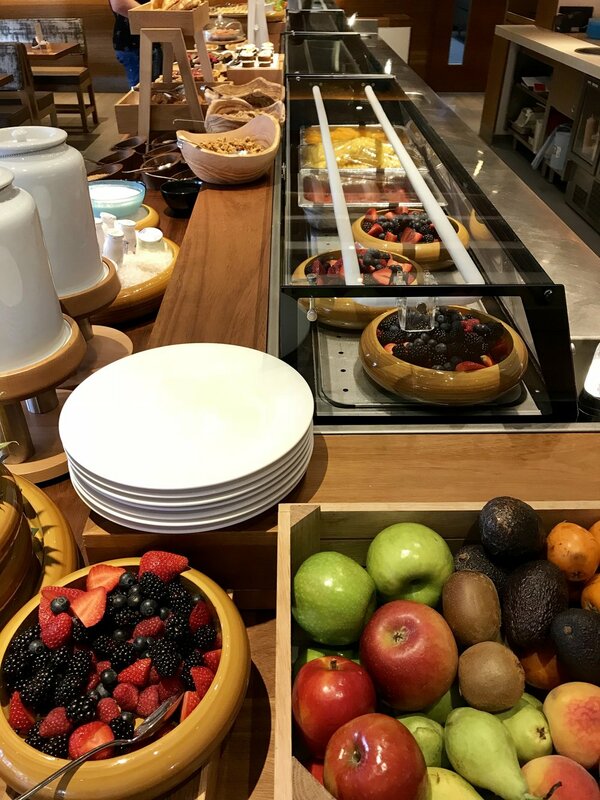 As our room was not ready yet, we headed to the Nobu Restaurant and got a first impression of what “Nobu” really means – attentive service, tranquil atmosphere and high-quality products. It was even better knowing, that we will have more opportunities throughout our stay to try more of their individually created dishes. Later that day, it was finally time to explore our room. We had generously been upgraded to a Studio Suite which could not have designed in any better way. The simple design had been perfectly adjusted with local touches though it is probably easier to let pictures speak for themselves. The next morning, we headed back to the Nobu Restaurant where you have small, yet high quality buffet and a few, “Nobu-styled” a la carte options. Nevertheless, it was of course still possible to get classic dishes like Egg Benedict or Pancakes. 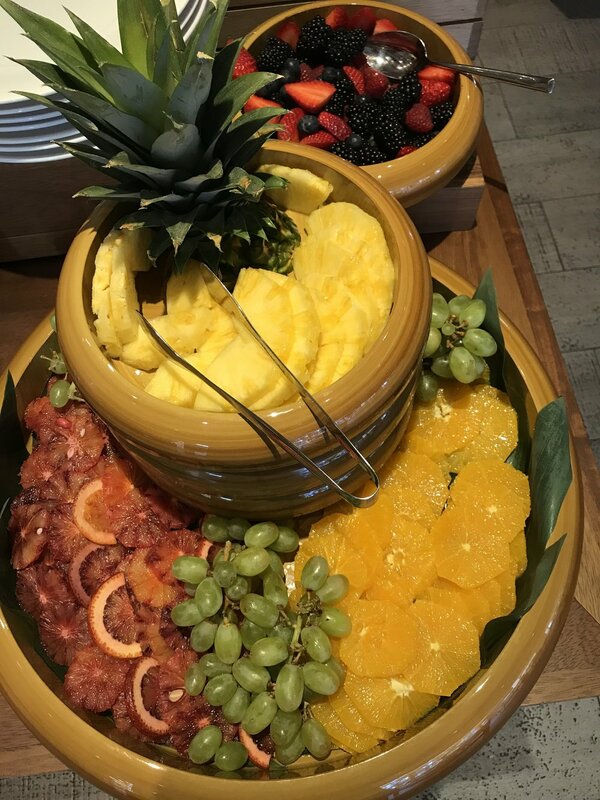 The buffet consisted of fresh bread and sweet temptations provided by Celicioso (their famous gluten-free café), cold-cuts, fresh salmon and all kinds of fresh fruit, nuts, cereal and local treats. As already mentioned, service was attentive and extremely personal. They remembered our drink choices after the first morning and constantly encouraged us to try more of their local dishes. What really impressed us, and I already mentioned it above, is the variety of activities possible. 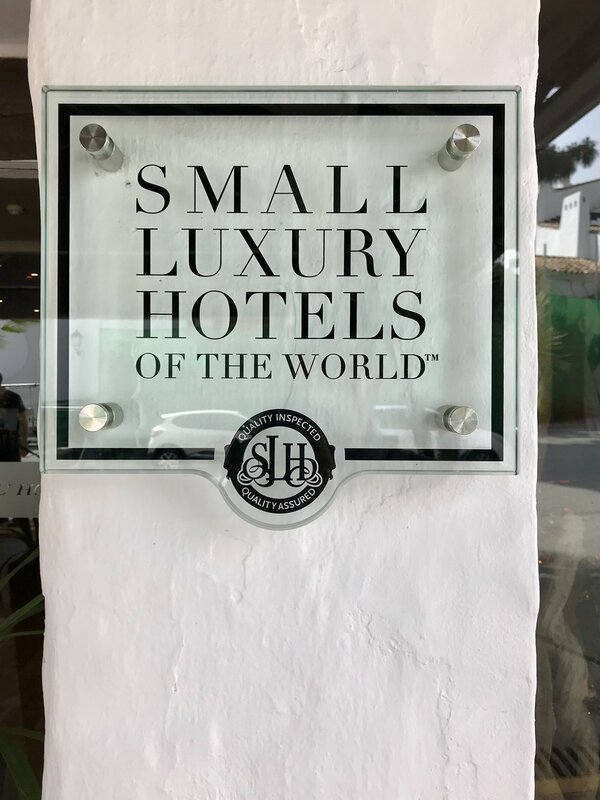 Keep in mind, that the hotel still has less than 50 rooms and you can access the huge tennis club “Tennis Brothers Marbella” (owned and also frequently used by the Djokovic family ), a Six Senses Spa, a private beach club (probably open from June onwards) and the famous open-air nightclub “La Suite”. We were guests of Nobu Marbella in order to inspect the property during its soft opening phase. All above written expresses our opinion and has not been influenced.